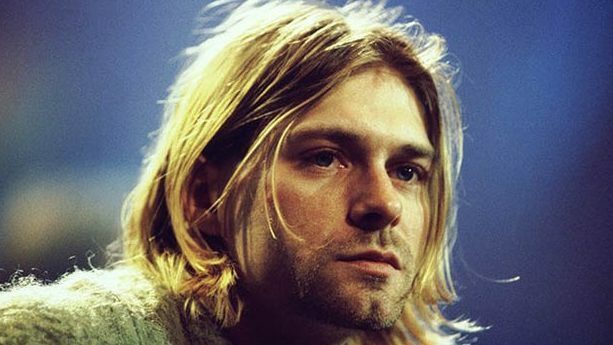 Today is the 25th anniversary of the death of Kurt Cobain, frontman for the band Nirvana who became the face of the “grunge” music movement, a blend of punk, indie rock and heavy metal. Cobain, of course, was legendary for his ferocious stage presence and for the mental anguish that success brought him. He went from playing punk bars in Seattle to cultural icon in less than 18 months. Grunge fashion was selling in the Sears catalogue when Cobain took his own life. The media frenzy around grunge, and Cobain in particular, followed the familiar “discover, build up, destroy” pattern. Everyone in the media wanted a piece of the weird scene in Seattle, to package it and commodify it. Including the New York Times, the old gray lady herself. A Times reporter reached out to Sub Pop Records founder Jonathan Poneman asking about the slang specific to the grunge movement. Poneman passed him on to Megan Jasper at Caroline Records who had been a receptionist at Sub Pop, knowing she would have fun with this. And she did. Jasper, apparently on the spot, came up with a list of grunge slang. It was all a joke, of course, but the Times swallowed it hook, line and sinker. It has become legendary. It was a brilliant, if unplanned, poke back at the media culture that too often destroys people. So don’t be a lamestain, we’ll be swingin’ on the flippity-flop. Rock on Kurt Cobain, rock on. Allan Gates is a partner with Bonfire.